Spurs manager Mauricio Pochettino has rejected claims that he is looking to leave the club at the end of the season to a bigger club. The former Espanyol and Southampton manager has been a major factor behind Spurs becoming a regular title challenger. Since coming to the club in 2014, he has managed to transform the fortunes of the North London outfit on a relatively shoestring budget. This season, they have failed to get success in the title race once again, but it is seen as an improvement for the club to finish second after having come third last season. 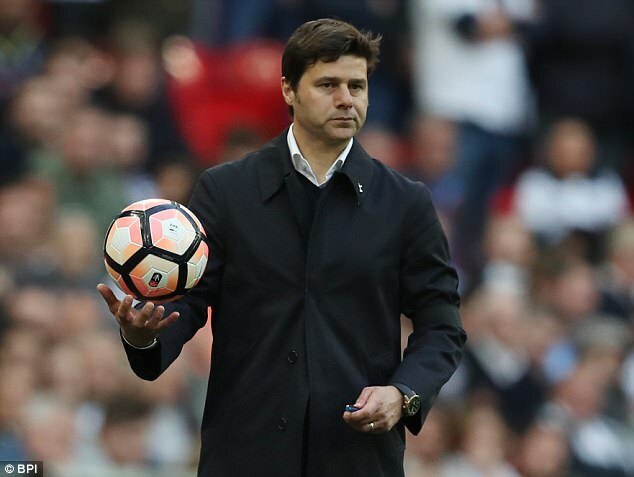 The impressive performances of Mauricio Pochettino has not gone unnoticed with a number of top clubs reportedly taking interest in the manager. There have been reports about the South American having a release clause in his contract. Since there have been rumours about Antonio Conte potentially leaving Chelsea at the end of the season, Pochettino has been touted as a replacement. He had been heavily linked with a move to Manchester United before Jose Mourinho took over at Old Trafford. However, Pochettino has confirmed that he has no intentions of leaving Tottenham at this moment, while he also went on to confirm that there was no release clause in his contract. The manager recently signed a new contract that will keep him out of the club until June 2021.“No, no buy-out clause in my contract. I will stay here next season.There are many rumours but I am committed to the club and have no reason to leave the club. I will stay here, don’t worry. On 3 July, for pre-season, I will be here, don’t worry,” said Pochettino. Spurs are expected to be active in the summer transfer window in order to strengthen their squad substantially. Last summer’s signings were a major disappointment and Pochettino will be hoping to address this aspect. This entry was posted in Tottenham Fan's Blog and tagged ENgland, Football, Gareth, Hotspur, Manager, Spurs, Tottenham. Bookmark the permalink.